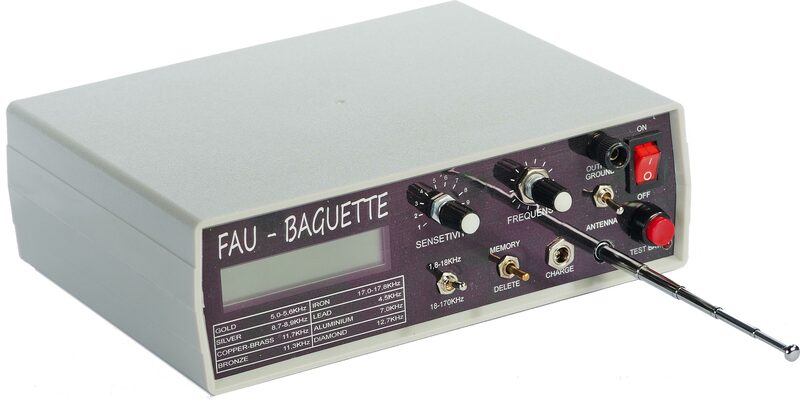 "FAU-BAGUETTE" analog long-range locator is operating on the principle of nuclear magnetic resonance. 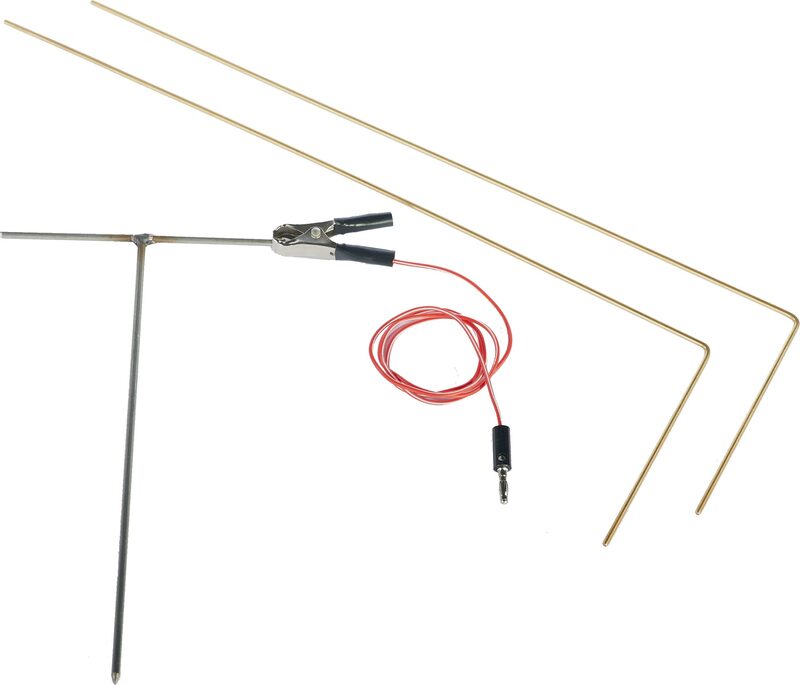 It has a built in adjustable analog generator and a digital frequency meter . The readings of the meter are indicated on the LCD. Function to delete an excited signal.